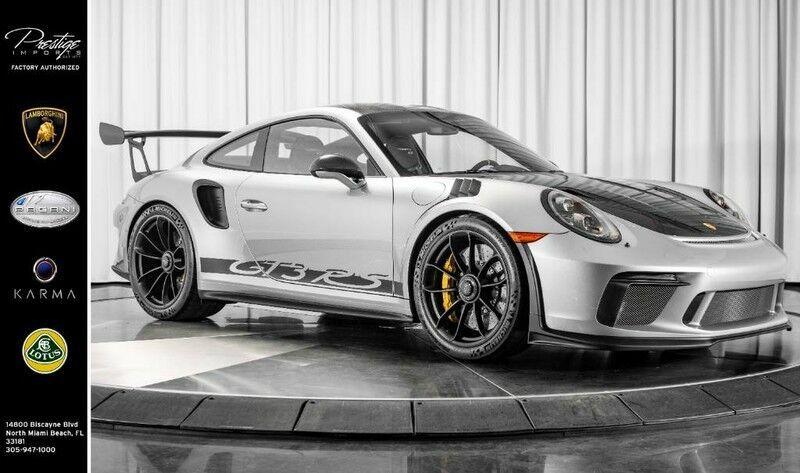 Contact Prestige Imports today for information on dozens of vehicles like this 2019 Porsche GT3 RS Weissach Package. If you're looking for a one-of-a-kind automobile, look no further. You can take the guesswork out of searching for your destination with this Porsche GT3 RS Weissach Package's installed Navigation system. Get more for your money with this well appointed vehicle, including a factory warranty. Engineered with the latest in technology and features, this vehicle is an automobile lover's dream. Stupendously fast, yet subtle at the same time, this Porsche GT3 RS Weissach Package sets the bar high. A true automotive masterpiece, this Porsche can function on track-day or work-day, and will always get you to your destination very quick. Know exactly what you're getting when you take home this Porsche GT3 RS as past service records are included.